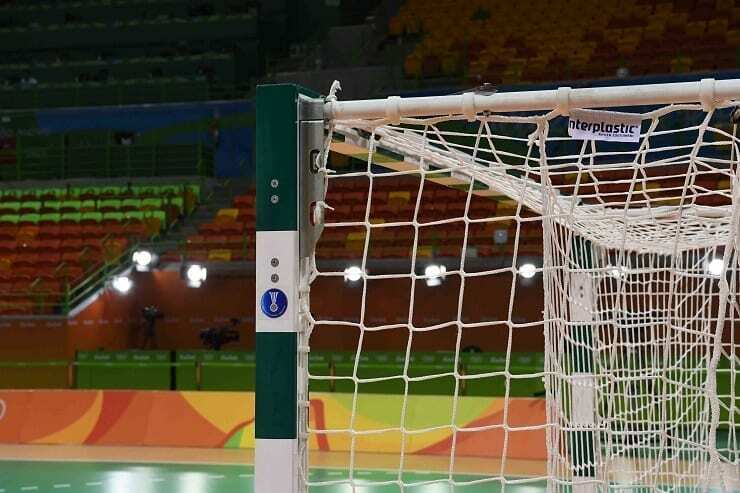 In 2008, as the 1st manufacturer in Poland and 7th in the world we obtained the IHF Certificate of approval for professional handball goalposts. Since then, the goalposts were used during several top level events like World Championships (i.e. IHF Men’s Handball World Championship 2011; IHF World Women’s Handball Championship 2015; IHF Men’s Junior World Championship 2017) or Olympic Games (Rio de Janeiro 2016). INTERPLASTIC means highest quality and maximum safety. All our products are made in accordance to applicable European Norms and were tested and approved by independent international institutions. The international standardization and clients’ requirements of clients have led the Management Board to take a decision on the certification of the company according to ISO: 9001:2015 in the following areas: “Design, manufacture and assembly of sports equipment, museums’ showcases, stainless steel furniture for cooking purposes and steel, wood, glass and plastics processing on customer’s order”. 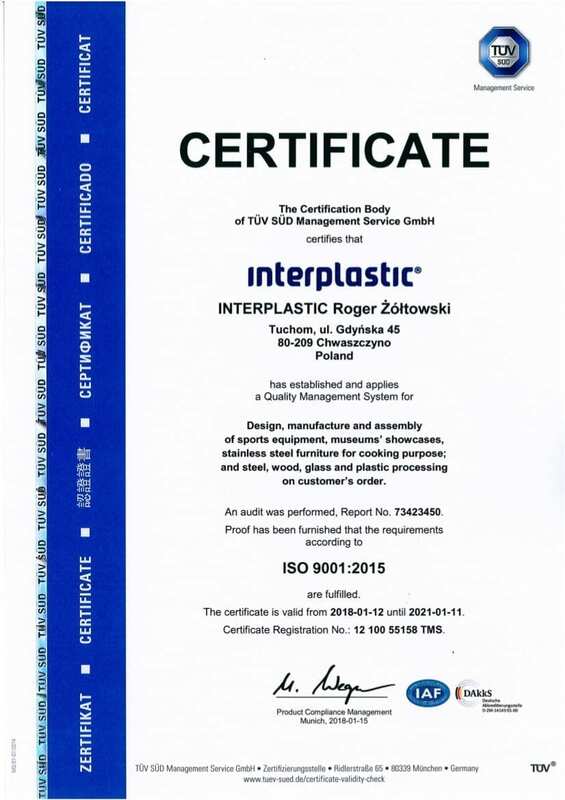 This certificate is a confirmation, that INTERPLASTIC is able to provide to even most demanding customers with reliable quality, timely order fulfillment and a high level of production process implementation. Best offer during “Sports-Recreation 2001” fair?